Motivation is one of those dangerous buzz words in business. Everyone knows they’re supposed to have it, but very few actually understand what it truly means and how it truly works. As professionals we come face-to-face with motivation every single day. Motivation permeates our work environments because through our social interactions we are either trying to motivate others or others are trying to motivate us to accomplish tasks. Ask any manager and they’ll tell you that effectively motivating people is no easy task. Ask a really good manager and they’ll tell you it’s the most demanding, yet rewarding task there is. Unfortunately, genuine, sustained motivation is rarely achieved in most business cultures today. 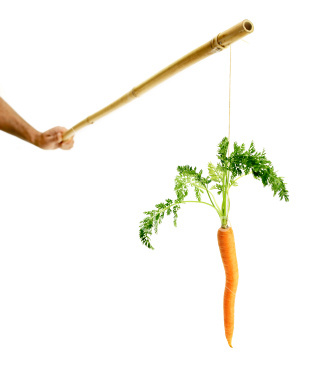 Some managers have found momentary success by using carrots and sticks to motivate their employee like financial rewards and incentives. Worst of all some managers use negative reinforcement in attempt to motivate. Although they might work briefly, in the long run neither of these tactics will lead to genuine sustained motivation and quality work. People are smart. They’ll catch on and after a while they become insulted by those tactics. As I type this article our economy is trying to recover from a near fatal blow suffered at the hands of our own device. Perhaps it’s time to rethink the way we do business? This isn’t your run of the mill article on intrinsic vs. extrinsic motivation, in fact, it’s much more than that. This article is a culmination of lessons learned from social neuroscience, neuroeconomics, social intelligence and case studies regarding management strategy. Let’s dive in. James Heyman, a professor at St. Thomas, wanted to find out if paying people more money to perform a task actually led to greater productivity. 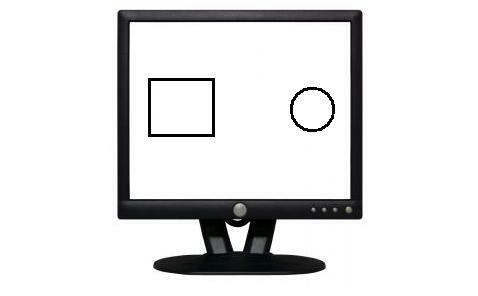 His task was simple: using a computer mouse, click and drag a circle from the right side of the computer into the box that was positioned on the left hand side of the screen. Once the circle was successfully inside the box it disappeared and reappeared in its original position for the subject to do all over again. The subjects would have five minutes to drag circles into boxes. The subjects were split into three groups: Group 1 was paid $5.00 before beginning their work, Group 2 was paid $0.50 (50 cents) before beginning their work, and Group 3 was asked to do the work with no mention of money at all. The subjects were oblivious to the amount paid to other subjects. So how did the groups perform for five minutes of work? Group 1 dragged an average of 159 circles. Group 2 dragged an average of 101 circles. What about our group that didn’t get paid anything? They must have done the least, right? Well, no. Group 3 dragged an average 168 circles – more than the highest compensated group. 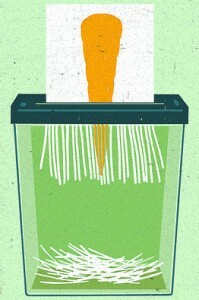 Heyman’s study demonstrates how people in our society view specific tasks. There are two ways to look at the circle dragging task: from a market norm standpoint and from a social norm standpoint. More often than not people are willing to help another person out irregardless of financial compensation, but make mention of money and people evaluate their task from completely different perspective. This is best illustrated with the social norm of helping a friend move. If I asked my friends to help me move knowing that at the end of it all they’d get pizza and cold beer they’d be more than willing to help me. However, if I offered my friends to help me move and I would pay them $10 (estimated cost of pizza and beer) each they would probably tell me to go to hell. The mention of money to my friends, and all people, changes their thought process from helping a friend to what they will get in return for their work. In general money can significantly change our thought process and shift our focus from task completion to self compensation or reward. No one person is their own corporation. We all work with people in varying capacities, and we have to remember that our social interactions are the fuel for true motivation. Researchers Kathleen Vohs, Nicole Mead, and Miranda Goode explored how simply just thinking about financial compensation can affect social interactions while completing a task. In this experiment subjects were split into two groups and asked to perform two tasks in succession. The first task was to unscramble easy sentences. The second task was then to complete a complicated shape puzzle. The two groups differed only in the types of sentences they unscrambled. Group 1 unscrambled neutral sentences (for example “It’s cold outside”). Group 2 unscrambled sentences that were related to money (for example “high paying salary”). This unknowingly primed the subjects in Group 2 to think about money. After the word scramble tasks were completed the subjects in both groups were asked to complete a particularly challenging shape puzzle. Every subject was told they may ask for help if they needed it. As it turns out Group 1 asked for help after an average of three minutes of work on the puzzle. Group 2, the “money” group, struggled with the puzzle and asked for help after five and half minutes on average. Thinking about money made the “money” group more self-reliant and less willing to ask for help. It doesn’t end there, however. In a continuation of experimental social interactions the “money” group was less willing to help the researcher enter data, and less likely to assist a “stranger” pick up a box of pencils that he dropped and spilled in the hallway. Thinking about money makes us selfish and self-reliant, and that can seriously negatively affect success in professional situations. Studies have shown that the most successful employees are not the employees who had the highest GPAs in college or the employees who graduated from the top colleges and universities. What the numerous studies have show is that the most successful employees are the people who are best at managing their own emotions and more importantly, the emotions of others they work with. These emotions govern our social interactions in the work place and while completing tasks. To get people’s best work you need to play to the needs of their social development. Many financial reward systems are actually undermining the success of socially intelligent employees by unconsciously promoting selfish behavior in place of socially conscious behavior while performing tasks. When we think socially we use the part of our brain called the prefrontal cortex (green area), but when we're thinking in terms of ourselves we make our decisions with our reptilian brain (pink area). the very nature of the reptilian brain is to be primarily concerned with our own health and safety aka wealth. Princeton professor Sam Glucksberg looked at how motivation works in complex tasks that involve incentives – like the tasks that most professionals do today. He used the famous “Candle Problem” to time people to see how fast they could solve the problem. The goal of the task is to attach the candle to the wall so that the candle does not drip on the table. The key to solving the problem is to use the box of tacks as a holder for the candle, a rather creative and ingenious solution to the task. He had two groups of people try to solve the candle problem. One group he told he was just timing them for norms. The other group he told if they finished in the top 25% of times they would get $5 and if they finished fastest overall they would get $20. So what happened? The group that was promised rewards for the fastest times actually took longer to complete the task. In fact, they took and average of three and half minutes longer than the group that was not promised incentives. How does this happen? It’s simple. Rewards and motivation can serve as blinders for our vision. A lot of the solutions to our problems are out on the periphery however through rewards promised for complex tasks we can only see right in front of our faces and there in lies the problem. Rewards and incentives distract us from true solutions to our problems. If-then motivational tactics remain in business because they worked well in the past. Like most business/management cultures today motivation is rooted in the industrial revolution. Motivating people was easier then because people’s tasks revolved around pushing a button and pulling a lever. Back then their tasks were simple and well defined, and for that reason the worker could be evaluated and rewarded for their work. That was then. This is now. Today’s business tasks are far from clear cut and well defined. We work in the conceptual age – an age of business that requires us as employees to be critical thinkers and problem solvers drawing from multiple sources. Long ago we left the industrial revolution behind, yet for some reason we’re still using outdated motivators in attempt to get the most out of our employees today. There’s a clear mismatch here. In the past you could motivate by saying “If you do this, then you get that.” That simply will not do any longer. In his TED Talk best selling author Dan Pink drove this very point home that if-then rewards and higher incentives lead to worse performances in the work place. He maintains that our management systems today are rooted more in folklore than science. We can’t continue to go down his path and make the same mistakes in regards to motivation. Outdated if-then motivation systems applied to today’s complex business tasks either do not work, or worse, they do more harm. The reason I showed you three different motivational experiments was to demonstrate the variety of ways that poorly planned motivational systems can do harm. Dan Pink offers hope in this wonderful talk. Check it out. Dan Pink’s newest book, Drive, comes out in just a few weeks. It will provide an in depth look into motivation in business today. Personally, I can’t wait to read it. 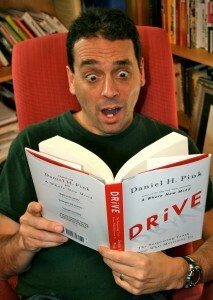 This is Dan Pink reading his new book Drive. He is also the author of the national best seller A Whole New Mind. What’s the right way to Motivate? Just last week I sat around a table with my team of eight for a sales meeting. The sales manager was trying to “motivate” by using articles and talk of money and rewards. As he spoke of money and incentives I looked around the room and at my team’s faces. It was clear they were uninterested in what he had to say. If the sales manager only knew what actually and personally motivated each employee his message might have been better received. Understand the Motivations and Skills of Others: you’ll be surprised what people what drives most people to do great work, and then you’ll be able to connect with them to genuinely motivate them. Take it one step further and make sure your team does their best to understand the motivations of others as well, and remember, Passion + Talent = Unparalleled Success. Promote Positive Social Behavior: encourage your employees to do work that benefits the group and follow up with them to ensure they’re asking for help and likewise helping others. Dedicate yourself to the success of others around you and you’ll find that they’ll start doing the same. Create a Leadership Pipeline: find ways for your employees to have sense of self worth and leadership, even if it’s just for a single task. If you expect the best from your employees and communicate that to them you’ll be surprised at what you’ll get it. Don’t Make Money an Issue: Pay people fairly and take the issue of money off the table. Money makes us selfish. It’s a fact.